Happy May Day! It’s no secret to those who know me well that this is my very favorite month of the year. Besides being my birthday and wedding anniversary month, it also contains Mother’s Day, which I quite enjoy, and two of my favorite nieces birthdays (for the record, I have three other favorite nieces so don’t get all like you get!). Also, spring comes late in Central Oregon, so it’s usually in May that the trees and flowers start blooming and we have some real hope of warmer days ahead. As much as we love our snow, it’s not nearly as pretty or fun in April as it is in December. 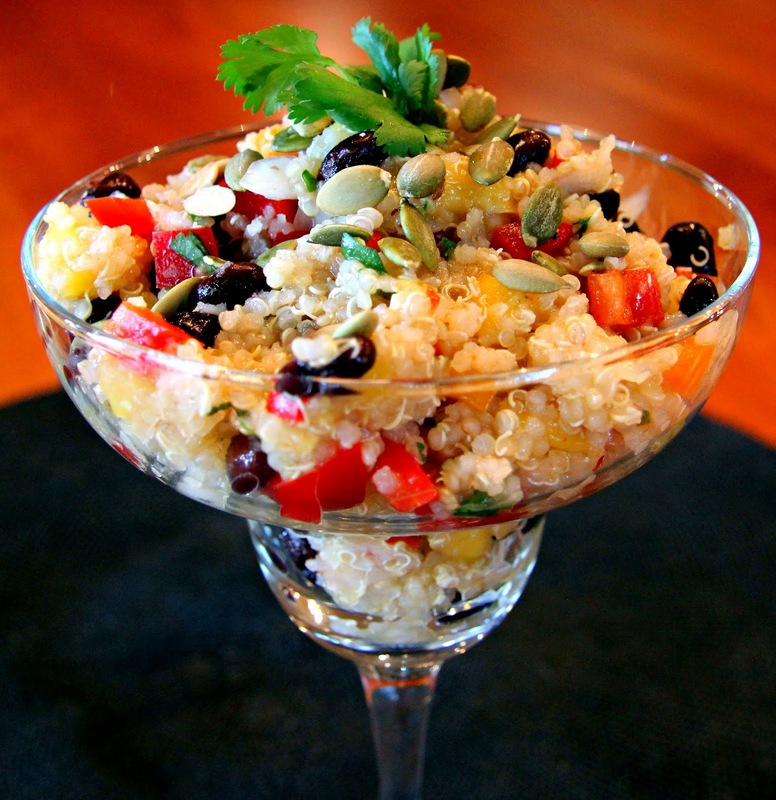 Another great day this month is Cinco de Mayo, which is a fabulous celebration of Mexican food and margaritas! (According to wikipedia, it also commemorates the Mexican army’s unlikely victory over France at The Battle of Puebla on May 5, 1862 – who knew?). 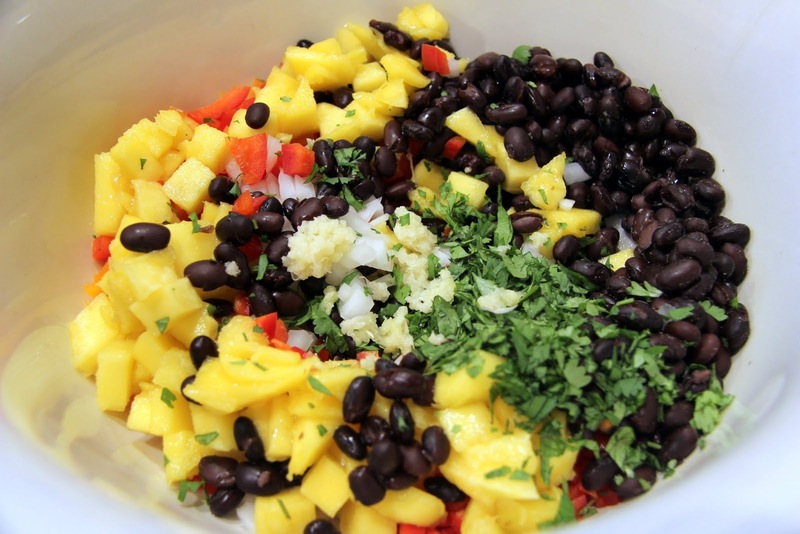 Here’s a bright, healthy, happy little salad that’s high in protein, fiber and flavor, inspired by some of the fresh flavors of Mexico! 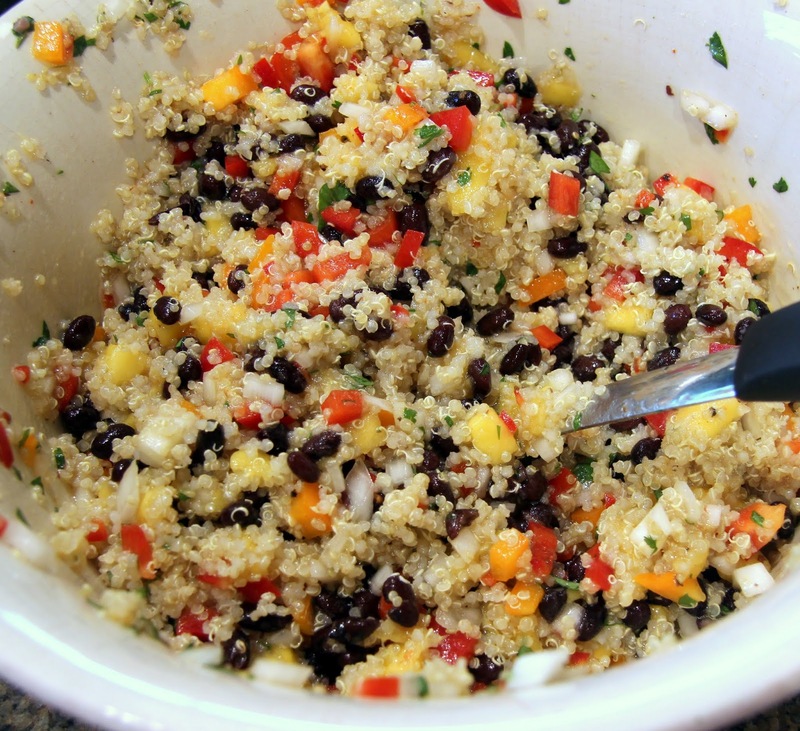 I love to have something like this in the fridge for a quick lunch and it also makes a great side dish – maybe for that Cinco de Mayo celebration you have coming up this weekend? 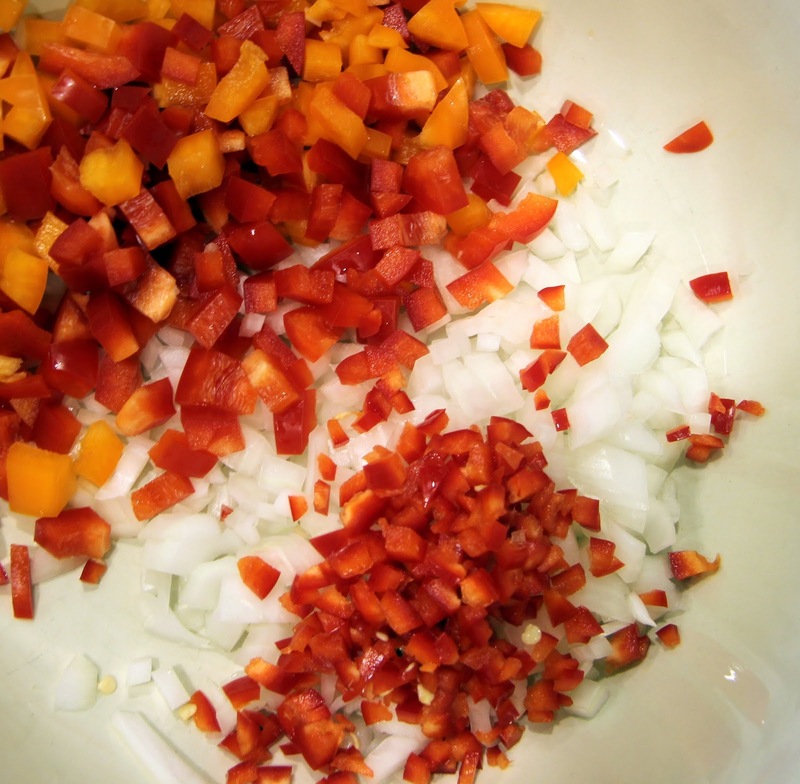 Spice this salad up as much as you want by adding more of the chili pepper seeds and hot sauce to your taste and take note it will lose some of it’s heat in the fridge overnight. 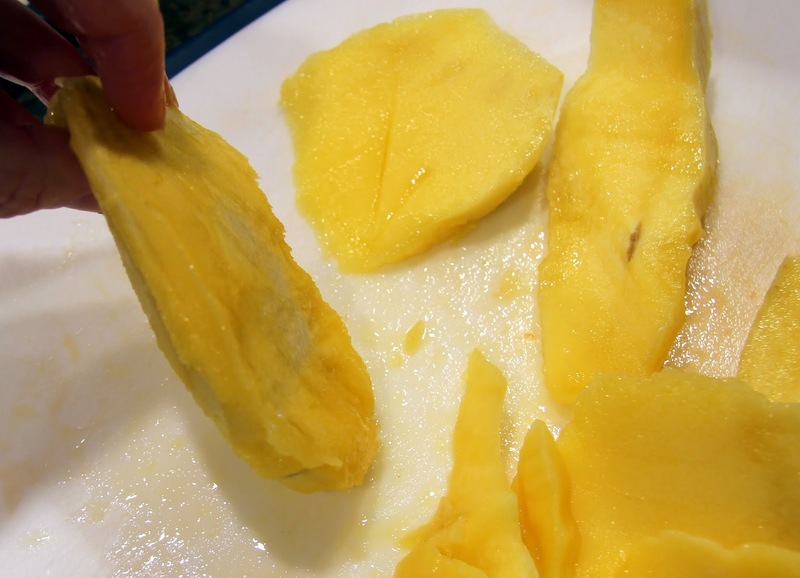 If you’re not a fan of mangos, this recipe would also work well with pineapple. Just make sure the fruit is ripe and sweet! A good rule for testing for ripeness is that the fruit should feel heavy for it’s size, that means it’s released more of it’s juices. 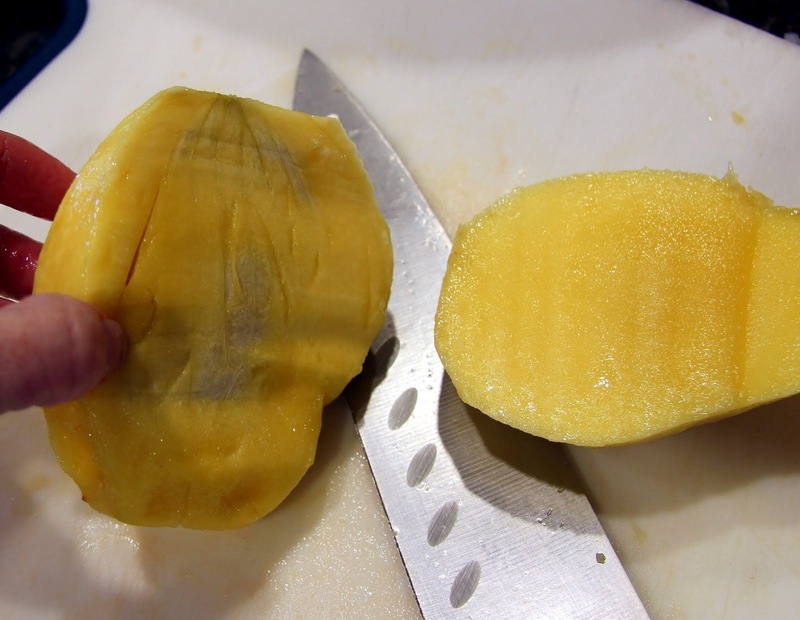 Also, with mangos or avocados, the fruit should give a little when pressed and not feel hard to the touch. 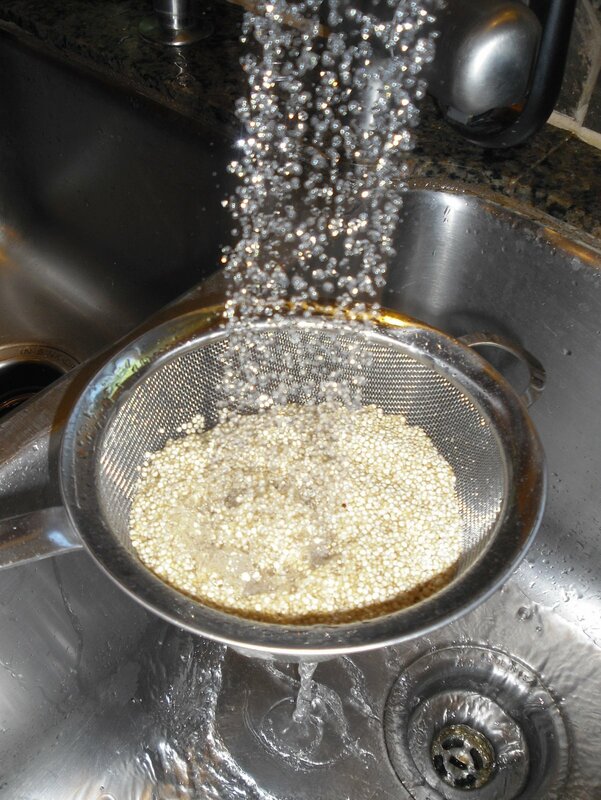 Rinse quinoa before cooking to remove any bitterness. 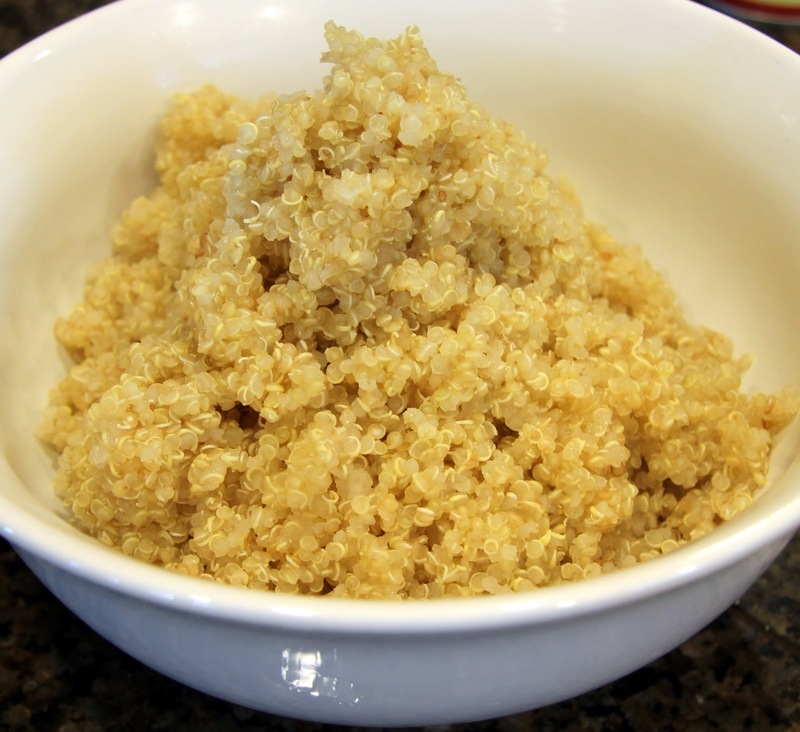 In a medium saucepan, combine quinoa with water/broth on high heat, bring to a boil, stirring often, then reduce heat to low. Cover and allow to cook for 15 minutes, stir occasionally. 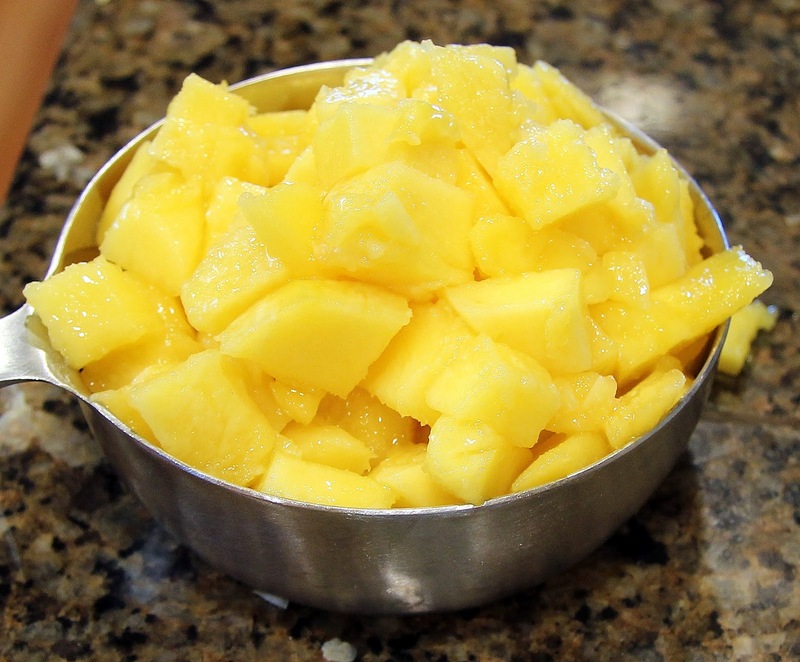 Remove lid, fluff with fork or spoon, then transfer to a bowl to cool. Stick it in the fridge if you need to while you prepare the rest of your salad. It’s important to let it cool so that the heat doesn’t soften the onions and peppers and make them lose their crunch. 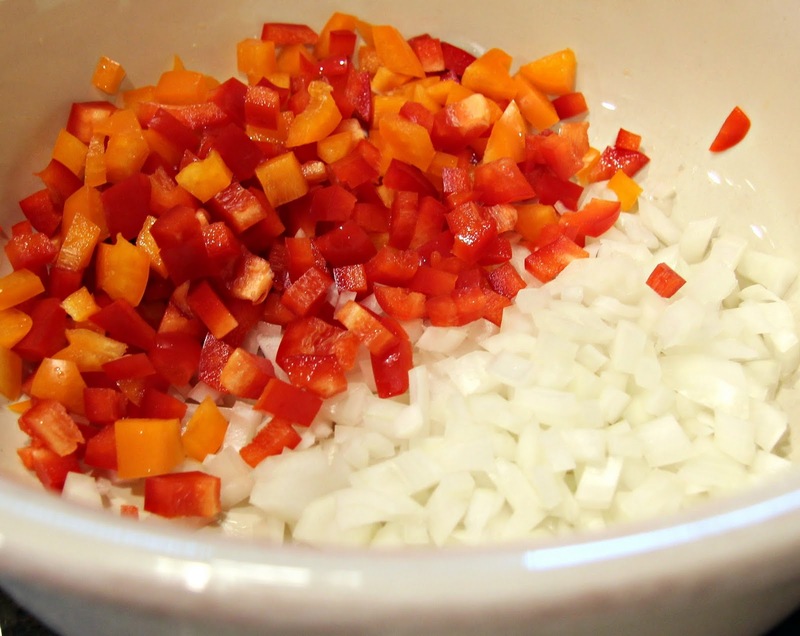 Dice the onion and pepper pretty small and place in a large mixing bowl. 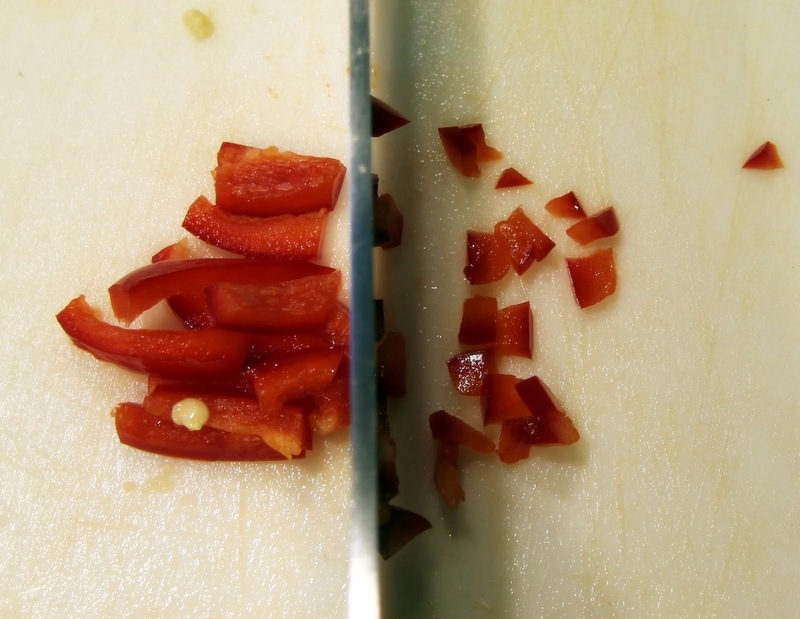 Remove the stems from the chili peppers and cut in half lengthwise. 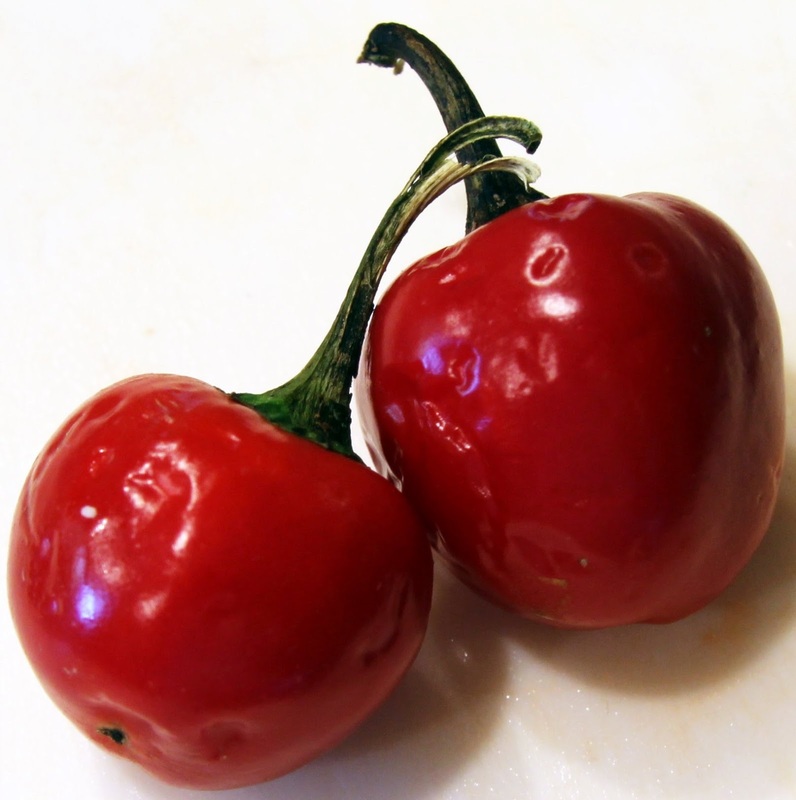 Scrape out membrane and seeds if your peppers are pretty hot like these cute cherry peppers were. You can reserve the seeds to add in later. Remember to wear gloves and/or wash your hands after handling the peppers and don’t touch your eyes! Mince (chop very small) and add to the bowl. 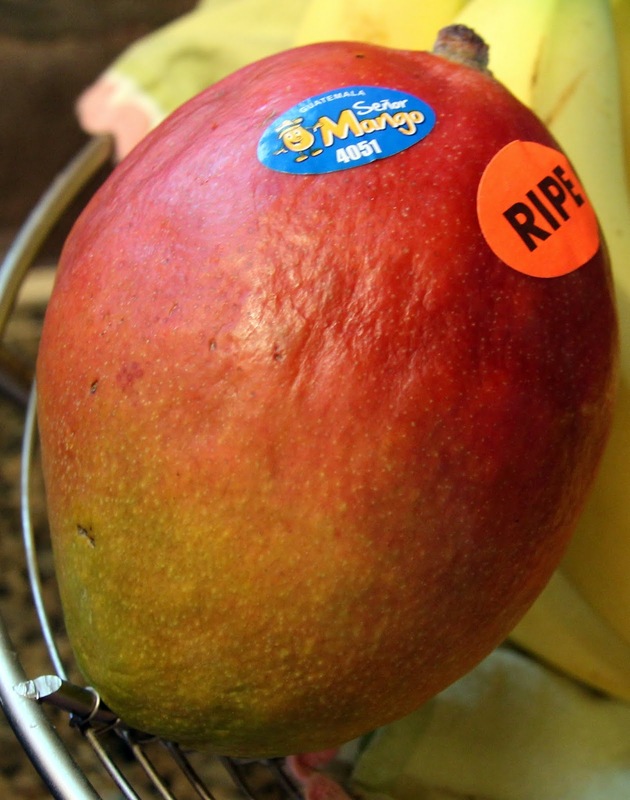 Behold your mango! I know, I’m weird. Peel the skin with a sharp knife. 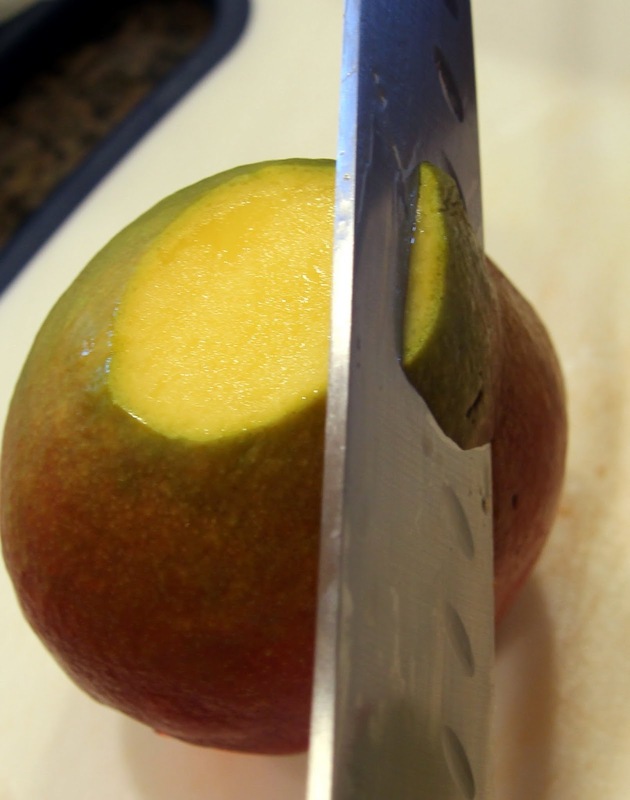 Mangos are a little awkward to cut. They make special mango slicers but I can never be bothered to look for mine so this is how I do it. Carefully, cut the flesh away from the pit in strips until you’re left with the pit, which is flat and oblong. Then dice in small chunks. 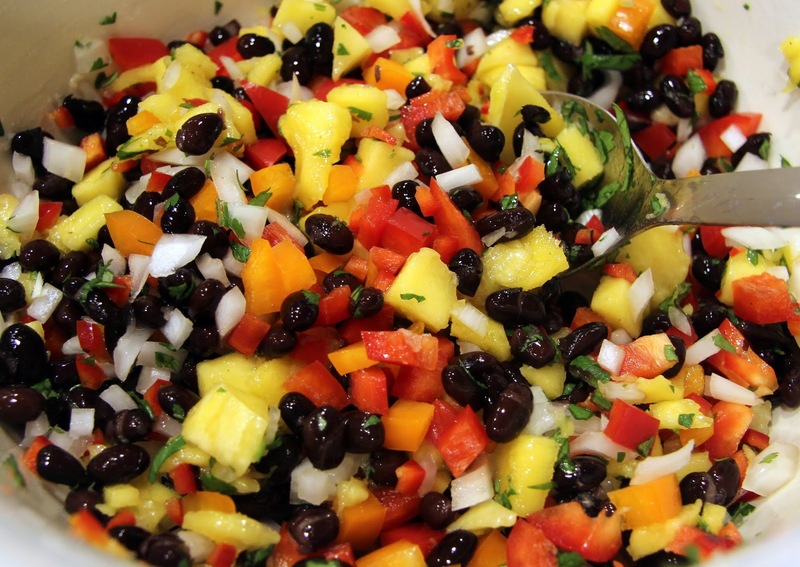 Add to bowl along with black beans, grated garlic, salt and pepper, chopped cilantro & mint. Stir together to allow the flavors to mingle while you’re juicing your lime and lemon. 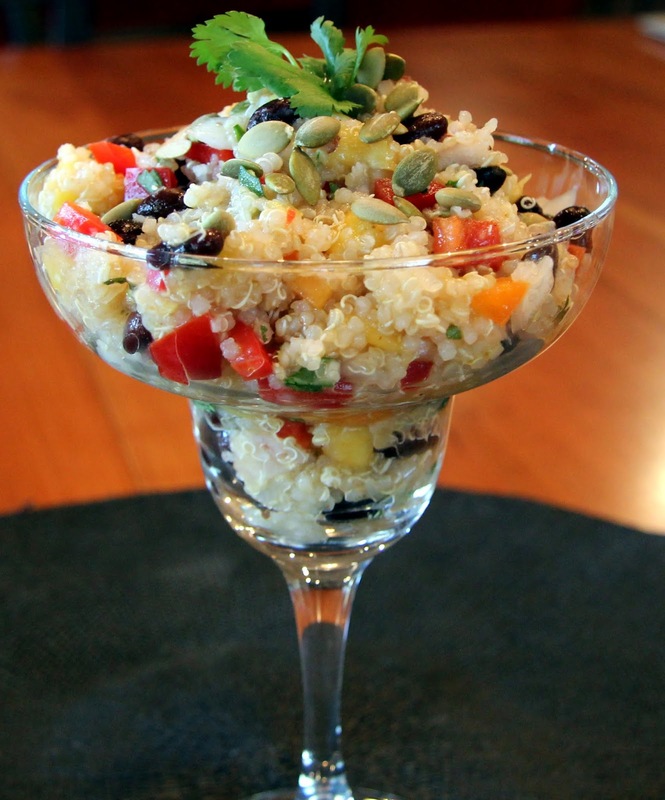 Stir in lime and lemon juice, olive oil and hot sauce then add cooled quinoa and pumpkin seeds. Taste it. 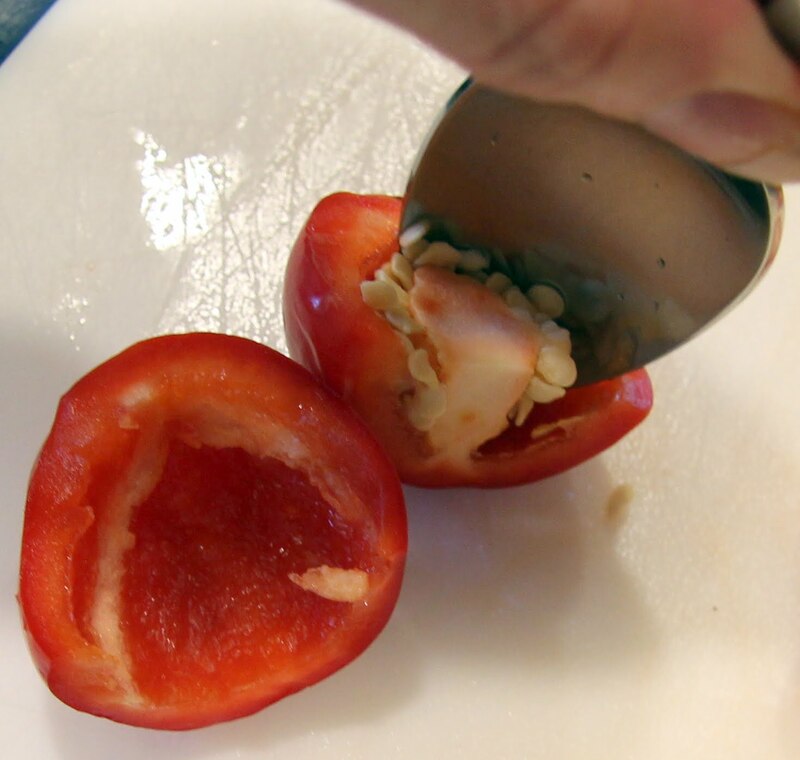 Add salt or heat from the chili pepper seeds as needed. Serve immediately or refrigerate until you’re ready to enjoy! I've never cooked this quinoa thing before and I think I've had it once a very long time ago. I must get round to trying this out because it does look tasty and as the weather slightly improves it looks like this could be a good one to take out when I do my BBQ in the park throughout the summer. It would make a good side dish.